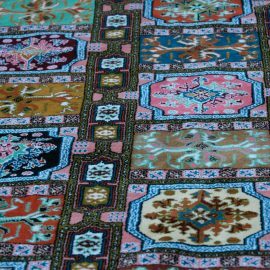 Extra Notes: Typical Hamadan in terms of weave colour and design format. 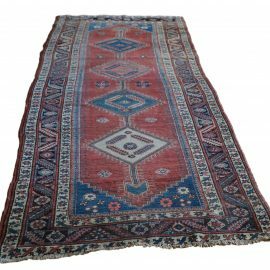 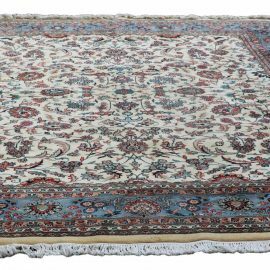 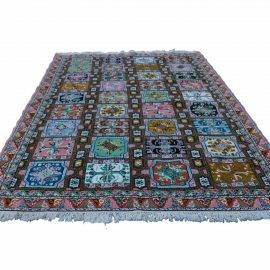 The Hamadan district comprises some 150 towns and villages all producing rugs of similar style though with characteristics of their own. 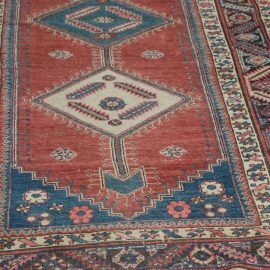 The ” herati ” is observed here in the blue field defined by the repeat skeletal diamond motifs centred by a flower head and issuing a curled leaf on each of the four sides, and repeated in an all over linked form. 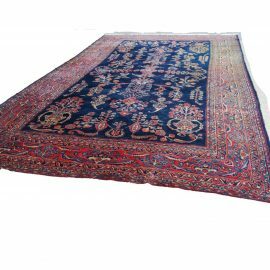 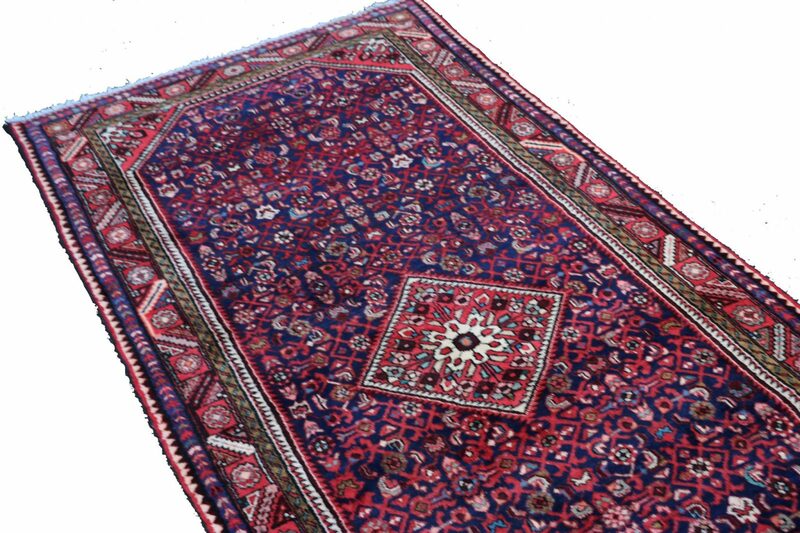 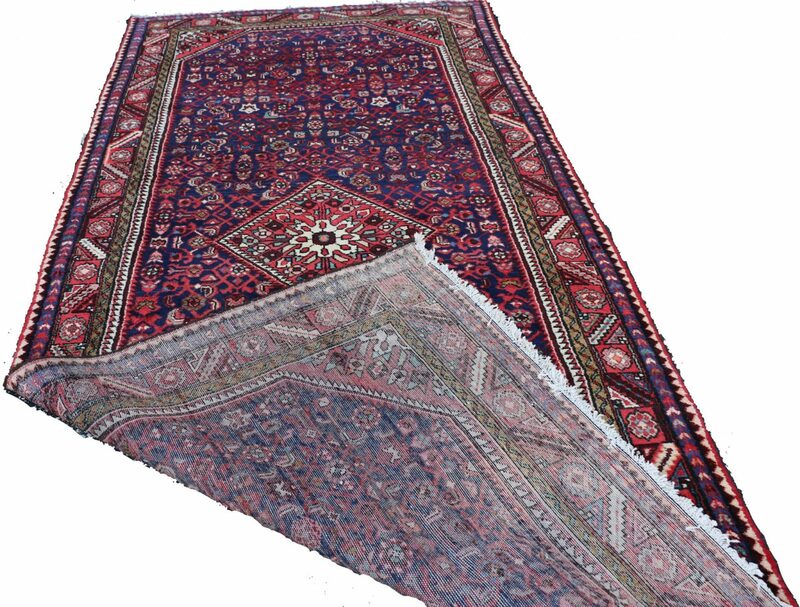 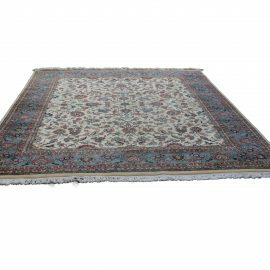 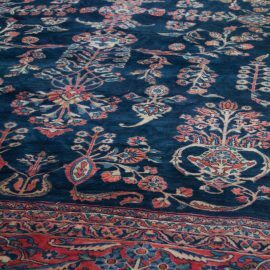 Hamadan rugs are notoriously tough and hard wearing.